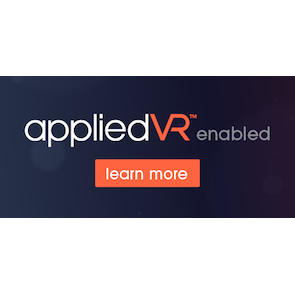 As part of the appliedVR community, we encourage our partners to share their participation in virtual reality for better patient experiences. Click download to access the following graphics that are designed and formatted for social media, email and web marketing use. Download options for social media covers photos. Download options for "Learn More" banner sizes. Informational flyer for patients and provider staff. Postcards for promotional display at reception or on tables. Overview of a few key VR experiences on the platform.